Ok, we said it just now, but maybe you noticed some studio pics we published in the last days on our social network, so you probably figured it out. After a very intense year (especially because of the two European Tours), we thought it was time to start working on new ideas, and letting inspiration to come out. So, that’s the thing: we are composing the new Ravenscry album. We are very excited about it, like every time we write music. This will be our fourth album in 10 years of music business. Surely we didn’t imagine this when we started. It was, and it still is, a wonderful journey, and we won’t stop the train! Every album had a different “story”: we experimented various songwriting ways, and this time it will be different as well. 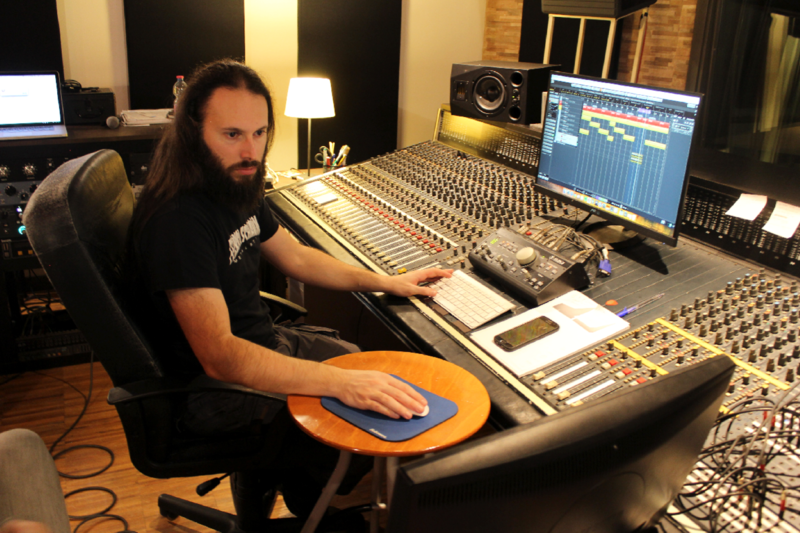 Paul is back in studio with us, and there is also the freshness of Federico Schiavoni as new element, for the first time in our history. Of course we can’t say too much right now, but we will surely explore new fields, as much as we will remain ourselves in the process. One thing is certain: it will sounds Ravenscry.